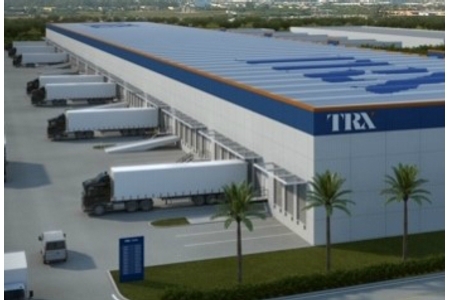 TRX Doral is a to-be-built 195,154 square foot industrial building. The 10-acre site is located at NW 65th Street and NW 102nd Avenue in Doral, Florida. The City of Doral is due west of the Miami International Airport (MIA) and the future development is 5 miles northwest of MIA. The building will be constructed targeting tenants in the 10k square foot to 40k square foot range and will have a 30’ clear height ceiling, 120’ truck court depth, ESFR, LED lighting, 42 dock high (1/4,000 sf) and 14 drive-in doors. The building design includes 20,000 square feet of mezzanine warehouse space. EverWest acquired the site for TRX Doral on behalf of an institutional separate account in February 2019.